These days, CSPAN/public affairs channel broadcasting gov proceedings is a neverending nerve-racking horror show I have to keep up with bated breath, so my drama spa has to be extraordinary painless, escapism is more essential as ever. Like those last cans of chicken noodle soup the 5th or infinite day of being miserably under the weather, I am heaping my drama plate with billowing fluffs. Nam Goong Min is a devilishly good looking man, just never my cuppa typecast in caricature baddies, part is he has never inhabited a character stoking my fancy, then there is his acting I could nitpick as too aware and forced…and somehow he orbits into Beautiful GongShim then this role, where the cheeky winking aware of smartass selfserving game he is playing under the bummy covering shields that little burning fire of chivalry, his OTT habits translating to how he slips into the character’s harmless heart of tarnished gold under the masterful slickness, no one takes him more seriously than should, works wonders for the character. Kim Jackiechan throws me back to the nostalgic days of StephenChow punking TVB characters with his signature snarky humor. I couldn’t help rawring in silly giggle fits at the loud slapstick comedy, then there is the feel good comfort of a group of little nobodies against the evil establishment in baby steps of win. I can reside in these folks, root and cheer for them to beat the big bad wolves，who only look scary but are hilariously ignorant, thus harmlessly gratifying watching along. The office politicking is wacky and far from brilliant, which works for me as I can lapse into not worrying much about the frustration of our lil guys beaten down, like watching Tom and Jerry going at the same old in the cartoon. NGM manages to balance this manga-ish lil thug with nuances new for me from him, so believably earnest and lively than when he tried too hard in his past at conventional characters. It gives me life, to hear myself bursting out chuckling at his character alone. I like Nam SangMi, she is pleasant to my eyes and a decent actress. And what a difference it makes for a newbie like JunHo to be in a role he adores, bouncing off actors who are solid but not too intimidating he could sync with and relax, having fun and let the jitters settle. I counted him out after Memory, while he is nowhere near amazing here, improvement is still a sweet thing. This reads almost unbearable (even for me) in shoujo trappings , that is, it will offend many grown levelheaded human sensibilities, yet OTOH it is being brutally honest: we can’t deny agism, misogyny is rampant and even victims feed the vicious cycle passively. Once in a while a sharp scathing line will cut in being too darn truthful, and what grounds the nonsense is the frankness: any or all of the three guy matching up our trio of 30yo single and desperate girlfriends should cover the attractiveness spectrum for most, but their overwhelming flaws, such deal breaking turnoffs, are also spit out in the next screen after the shoujo dreamy filter and music is done. Kentaro is very arresting, but being a prick spewing rude judgments he has no place to say stops even me from going for my droolzbucket…yet what the dude was saying is annoyingly not untrue. Of course behavior is explained by he has a super angsty past, but still, an acting job well done when I am in heroine’s every beat aggravated wanting to bite his pretty blond head off. Yuriko Yoshitaka can never bug me, a naturally gifted actress, a treat to have the versatile actress doing her seamless magic in a shoujo heroine cliche feeling inadequate at 3-0 without a guy or a career in life unattractive (that face yeah right <_<) and the gorgeous actress is blossoming to an even more understated beautiful lady with every work. Doramaland is where I keep up with my fashion chic and lust over immaculate makeup mastery, and I want everything, they are my aesthetics. And who would’ve guessed a typical shoujo has the best CGIs? To spoil a little, while it tried my patience tolerating blatantly douchy male characters first few eps the ladies are pining after, that simple scene where Yuriko’s Rinko finally giving Kentaro’s Key an rebuttal not too grand but speaking her mind rightfully, of how simply her friendship with her gfs has been her lifesaver, her only source of happiness these years without which she would be existing like a hollow shell of shattered dreams. This drama has little new to preach, fresh is these ladies are cognizant, storytelling balances out the cheesy with some poignancy, being just gumdrops of sugar-coated muted reality supplements, not that easy to swallow but it strikes a hum in me. I watch it for the good looking decent actors, specifically Yuriko, and I love watching actor reunions from works I liked, icing on a cake remembering another fond experience whenever her hubby in Hanako and Anne is on screen with her. I watch it for its comfy predictability knowing how absurd for these characters to fall in love at the moment to that inadequate person, is almost guaranteed an explosive dose of sickening sweetness at the fluffy happily ever after later. I know I have lost my mind in desperation when I click play. This premise is so beyond me outrageous: heroine picks up a much younger guy and keeps him as a pet. Judging glasses off, this is well acted and they are tenderly lovingly cute hugging smooching each other. It is not like they are not processing the craziness but the soothing intimacy must feels soo good physically no matter. I need this comfort losing myself in witnessing fictional characters having a break from their ‘reality’ just hugging and making out. Who needs brain or sense?! 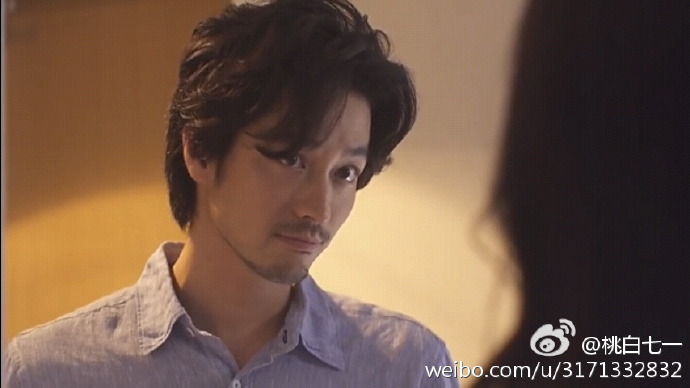 Guy2, the first love, Yutaka lookalike and I am defenseless. This is a decent all around production, not perfect but spot-on pleasant. 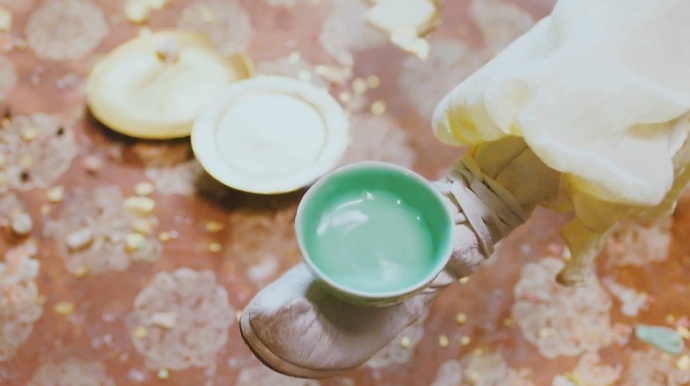 There is very little crude green screens, CGIs r nothing impressive, but not sticking out obtrusive; I like shooting on location, it is now a merit when pasture looks exactly as it should lesigh, on top of many of the young actors are dancers competent in the intricate wuxia sequences. While the OTP is the source of grumbles from fans, I choose to give them a clean slate and they stay true enough authentic to the characters. I never find them unbearable, what they are lacking in charisma, or acting technicality, this has a who’s who cast of supporting veterans in cameos exceeding my expectation in perfection. 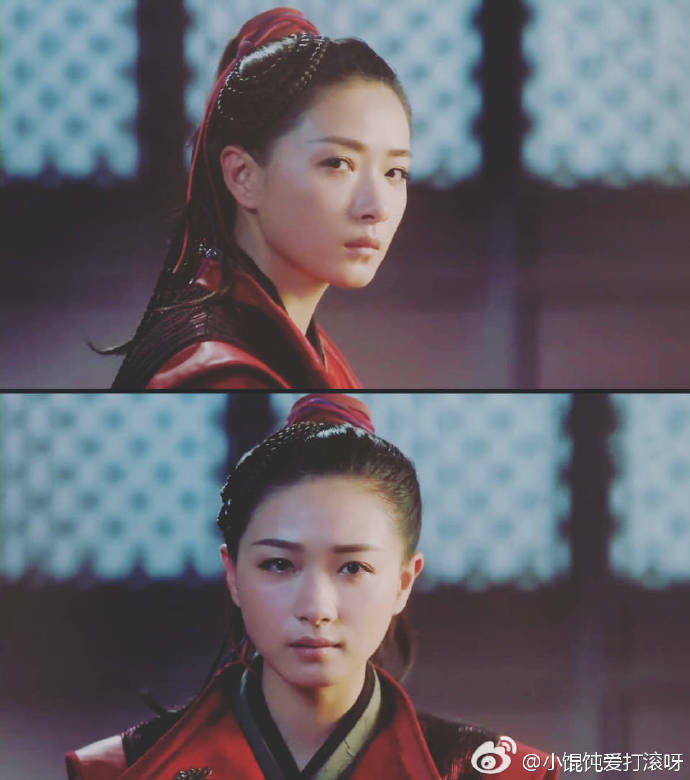 I think she is cute and a normal pretty girl, not everyone is a ZhouXun, just wished they could use 1/10 of the makeup on her, she moves beautifully and it is obvious to me neat work is dedicated to choreograph her wuxia matching well with character’s mastery on pages. The YangKang (陈星旭) has been acting since 3yo, OuYangKe (刘智扬) was versatile, unrecognizable from role to role in worthy dramas like Ferryman, 我们的法兰西岁月/Nos Annees Francaises and now the sleazy scum. He is an amusing baddie to watch and cathartic to curse at. 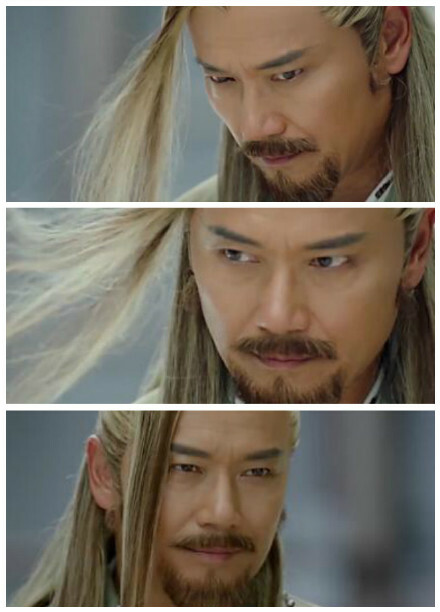 and when there is such intricate care building characters each with unique wuxia befitting dance styles, I cheer. 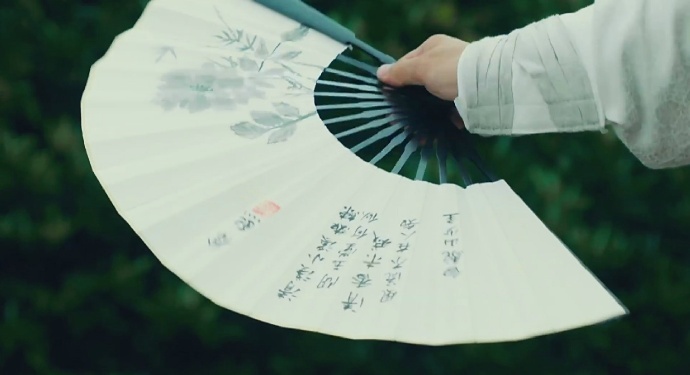 Then there are my biases 赵立新 ZhaoLixin (a PD ZhangLi’s regular), Michael Miu above, HanDong, our most beautiful Prince 9 from BuBuJingXin is way too young and pretty for the most righteous honorable reigning wuxia master of all sects, yet he might’ve done his best emoting to date in the minute he shows face, worthy of endless looping. When I saw Forrest Gump in theater, this was the story that crept up while engrossed in the Hollywood uplifting fairytale. This story of the unlikely young hero serves also the side of an intriguing anti-hero in Yang Kang, we ponder how wrong twists of fate, meddling of adults, understandable human weakness could rot a promising young life into doom… a very tiny soft spot we will treasure, reserved for that dashing young boy of could’ve. What I find refreshing is also how the many versions of the original novel is decisively incorporated, there are artistic liberties taken but none too nonsensical, the characters enjoy more cohesiveness than at times even the writing of Louis Cha himself with his bewildering rewrites. The doormat NianChi, tragically falling for the wrong guy at least can keep a spine of honor and chivalry in this adapt longer than most, the most precious worth in this imaginary world. I have read and watched adapts of this story many dozens of times now and this ease of mind when I could see the respect the original deserves in a heartfelt homage is surprisingly precious. I am fine taking in imperfections, it might never be memorable a stand-alone drama, but to labor over every aspect decently and be steadily watchable a 20 ep of exposition atvm is commendable these days when C idolperiod adapts have been notoriously more shameless in producing scriptless worthless idol vehicles of no quality other than inserting as many household names, exposing how aggravatingly overrated this generation of young stars mostly are. count me in for the first two shows. sold. i adore yuriko, she’s endearing in every role i’ve seen so far. In Yuriko we trust! Hey what else you watching gf? loving quartet and mitsushima hikari is another yuriko in that she can’t do no wrong but probs better in that she lands all the bigger, better projects. still loving shanghai bund… omg my heart! i’m literally in pain everytime i sit through an ep. but that bittersweet kind of heartache only masochists can savour. 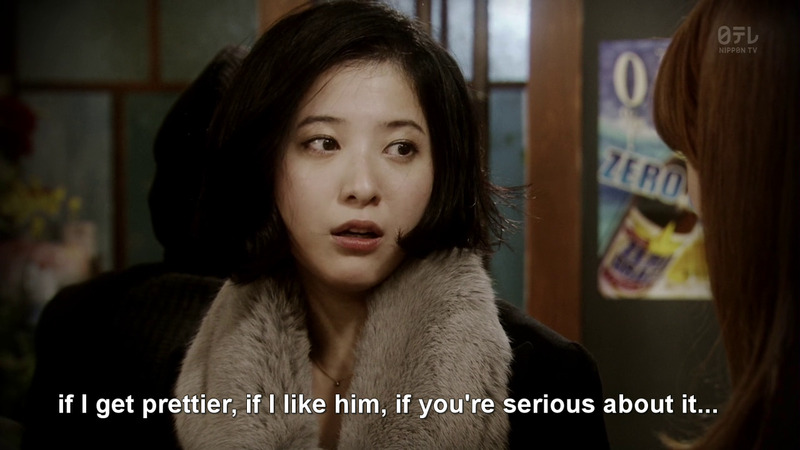 was thinking of watching that lee kyunghee drama — the one with two very green actors i can’t stand. did you check it out at all? would you say it’s watchable? do the characters redeem themselves at all? gah! 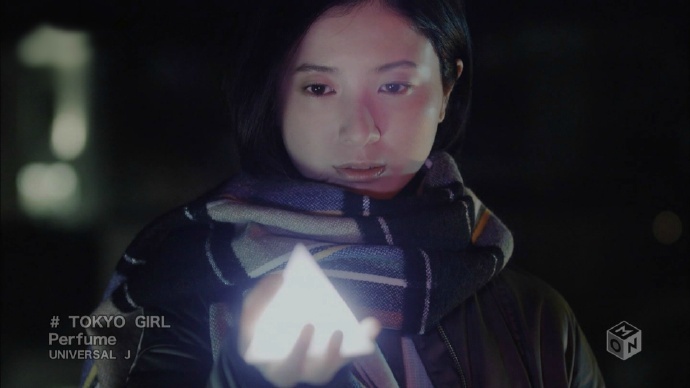 Hikari-chan should be everyone’s spirit animal, she has a magical quirkier whimsy to her… I was rewatching her and Ryo in Gomen ne Seishun + TottoTV over wkend. I am hanging on Quartet for her mostly, loved ep3 w her char as focus, imo Sakamoto-sama is getting more vainglorious with his writing since Mondai Resto… just missing engrossing me, writing at times meanders for the sake of showing off instead of servicing plot/flow. Oh dun touch that LeeKyungHee, you’ll love her and those hopeless moving yelping pretty set pieces less. I didn’t watch much but she could be plagiarizing Autumn in my Heart or some super dated Kmelo to a risible tragedy in itself, the meta. he really is. you’re bang on the money. i found saikou no rikon mostly risible and bloated but the finale was pure, sweet love! made it all worth having hung on for. i’m seeing a similar style here but so far nothing’s outright offending me as it did in SnR. didn’t check out mosaic and am tempted to check out his more recent one with the hit and miss (but pretty as sin) kengo kora. but after seeing how he pulls quartet off. ew. ok i’ll stay away haha! Mosaic is lublub (v R18 tho XD)… gosh we have such similar fine taste in the prettehs lol KengoKora gets me hormonal… but I’ll nvr be a Kasumi-chan fan, i was bored w that one and dropped it promptly. What rubbed me wrong w Quartet is it is shockingly cheesy. Hikari’s Sebuki with such debilitating baggage fresh w that Daddywoe falls so easily head over heel for a nobody Savior complex for the sake of cheesy twist. It made more sense if she womances MakiMaki instead. I had no prob w SnR and the flawed lil (or lots) annoying characters bc they r as is… but in Quartet, the dude characters r v unattractive to me yet I’m force-fed they r some dreamboats. but ryuhei tho. he’s such a gorgeous specimen. yeah he looks frumpy in this for some reason but i’m still seduced as ever. i think the other guy is being shoved down our throats as the hottie he isn’t. but im ok with makimaki and hikari too haha! 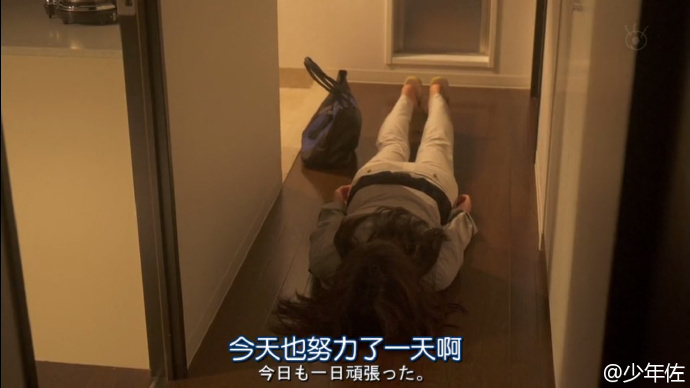 “I am watching Kimi Wa Petto to see whether it’s better than it’s predecesors” – so I tell myself. In all actuality I didn’t watch it because of the actors. I had just finished watching ‘A millionaire’s First Love’ and need something light. I watched the movie, the idea was crazy, but I found the whole situation endearing. Sometime later I watched the show and I enjoyed it. 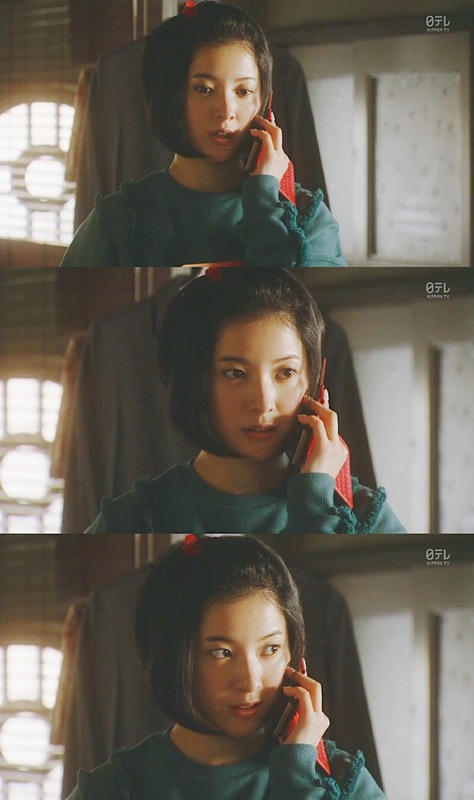 The drama is a lot better than the movie, but I do like rewatching the movie when destress like with the ending of both season 1 and 2 of ‘The Legend of Chusen’. Now having said all that I am still on the fence about the new version. Simply because Mastumoto and Koyuki had great chemistry as did the rest of the cast. I am still in shock I am not yet offended… and yes it is strangely endearing and destressing is key! I think the OTP r just about right chemistry wise bc I need that lil edge of uncomfy/this is absurd to compute.